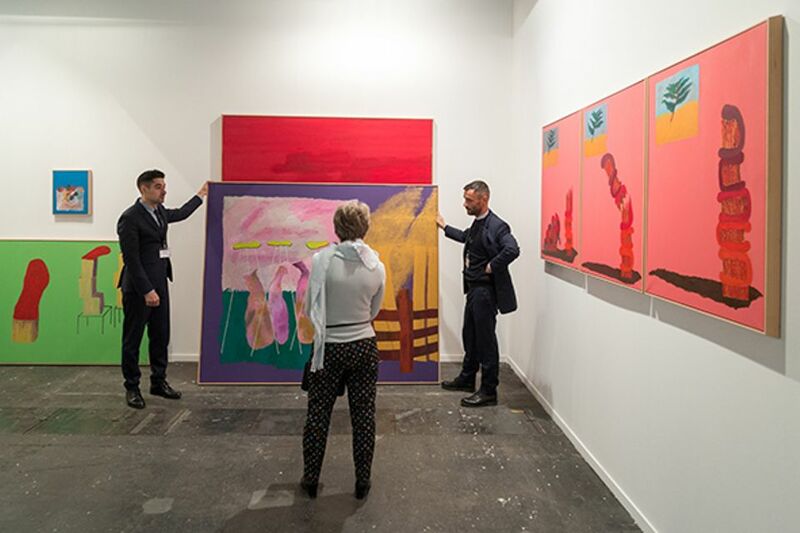 Galleries reported that sales at the Arco Madrid fair (21-25 February) proceeded undeterred even after controversy broke out over the removal of a polemical Santiago Sierra work just as the aisles opened to VIPs on Wednesday this week. 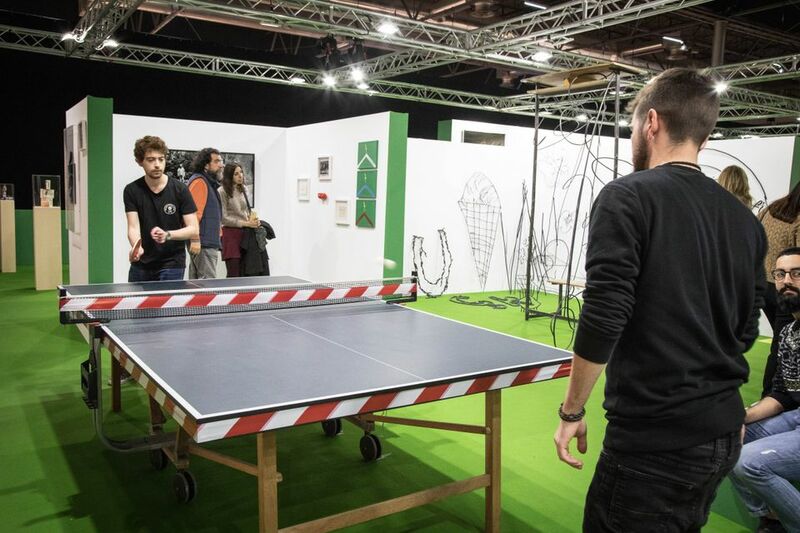 The clash inspired debates over the relationship of art to politics and society, but in the end took a backseat to the fair’s dynamic programme. A sense of purpose and optimism abounded in the fair’s 37th edition, from the theme of a new curated sector entitled “The future is not what’s going to happen, but what we’re going to do” to subtle signs of economic recovery. From cab drivers to wealthy collectors, many said that they had returned to Spain in the last year after living abroad. The opening drew some 300 international collectors, many from Latin America, and Spanish-speaking fair-goers were overheard praising it as “el mejor Arco” (“the best Arco”). “Arco has wind beneath its wings”, the Belgian collector of contemporary art Alain Servais told The Art Newspaper. Although Arco is known as a fair where deals tend close on the final day, several galleries reported sales from the get-go to collectors from Latin America, Europe and Dubai. At the higher end of the market, a work by Venezuelan Op artist Jesús Rafael Soto sold for €800,000 at Leon Tovar Gallery of New York. However, the most expensive work at the fair, a €2.5m Picasso at the local Galería Leandro Navarro , had not found a buyer at time of writing. In keeping with its tradition, the Reina Sofía Museum acquired works at the fair, spending a sum of €224,480. Among the works entering the collection is the film Bending to Earth (2015) by Rosa Barba, which brings together a series of sequences around a department store nuclear waste in California, Utah and Colorado, and Joachim Koester’s Maybe this act, this work, this thing (2016), a high-definition video that presents a fictional portrait of a group of vaudeville actors during the advent of the film era and contains meta-references to the art system. A collaborative spirit was palpable. São Paulo‘s Galeria Jaqueline Martins, presenting works by Cuban artist Diango Hernandez from his conceptual waves series, shared a booth with PM8, a Spanish gallery based in Vigo. The dealers met five years ago at Arco and have made a joint presentation there for the last four years. Next month, Martins will host seven galleries, including PM8, in Condo Unit—a single-venue offshoot of the London/New York gallery exchange—opening 7 April, just before the SP-Arte fair (11-15 April). Although the fair slants toward Latin and South America, comprising 35 of the 211 total exhibitors, German galleries made a strong showing, with 19 presenting this year. First-time participant König Galerie, of Berlin and London, reported selling Jeppe Hein’s two-way mirror neon sign, You make me wonder (2016), for €40,000 and a series of sculptures of enlarged hearing aids, In Praise of Listening (2018), by Amalia Pica (to Arco Foundation), as well as a large folding-screen and mirror sculpture by the Polish artist Alicja Kwade for €150,000. The Arco audience’s considered pace of decision-making in years past has encouraged dealers to bring risky conceptual works or those by lesser-known artists. 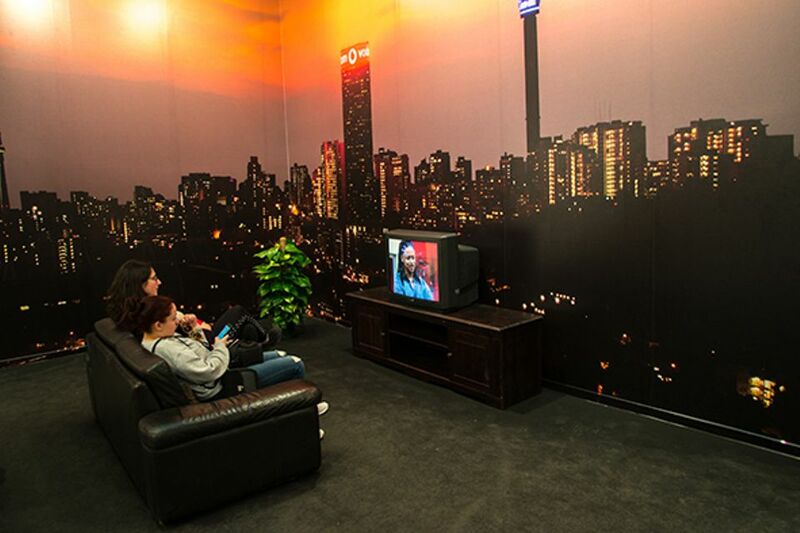 A program of politically and socially engaged works that featured Candice Breitz and Chto Delat was well received, Raphael Oberhuber of KOW gallery told The Art Newspaper. They sold a Henrike Naumann work featuring a former German rapper-turned-ISIL-recruiter for €12,000 plus a 1980s-era Franz Erhard Walther work for €65,000. On Friday, the Berlin-based gallery also offered a sneak peek of its new Madrid space, planned to open in the fall—further evidence of that the Spanish capital's art scene is on the upswing.